On February 2, 2015 Aspens & Oaks, while continuing in its effort to reach more people in the community, opened its Family Practice Services for the first time. 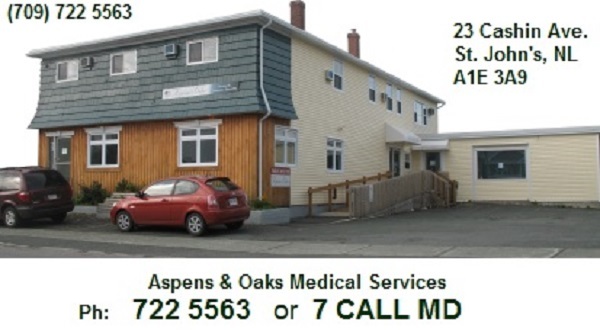 It has become ever more difficult to find a FAMILY DOCTOR in NL and the St. John’s metro area and for this reason we have started the Medical Services division of Aspens & Oaks. NOTE: WALK-IN Service discontinued while searching for Additional Family Doctors.